While firms may think electricity sourcing via solar panels is expensive, a new study is developing new ways to harness the Sun's energy. Researchers are advancing the field of thermophotovoltaics to create higher efficiency solar cells, according to Stanford University. Thermophotovoltaics work by using a heat-resistant thermal emitter to convert heat from sunlight into infrared light, which will eventually create electricity in the process. As a crucial component to reducing energy waste, the thermal emitter of the thermophotovoltaic device can withstand temperatures up to 2500 degrees F, which is double the temperature previous prototypes were able to endure without coming apart. "This is a record performance in terms of thermal stability and a major advance for the field of thermophotovoltaics," said Shanhui Fan, a professor of electrical engineering at Stanford University. Fan worked with with other professors at University of Illinois-Urbana Champaign (Illinois) and North Carolina State University for his research. While regular solar cells absorb sunlight directly to transform this solar energy into electrical energy, this process cuts the amount of electrical energy that could potentially be generated because of the limitations of its silicon semiconductor to only interact with infrared light. Paul Braun, co-author of the study and a professor of materials science at Illinois, said conventional solar cells have an efficiency level of roughly 34 percent because the Sun's energy is wasted. Thermophotovoltaic technology developed from this new research aims to reduce this waste through harnessing lower-energy waves that would otherwise pass through the solar panels that use silicon semiconductors. Previously, thermophotovoltaic systems have reached an efficiency level of almost 8 percent. Fan said shorter wavelengths are ideal for solar cells, and by tailoring light for this type of wavelength, the solar could theoretically reach a level of 80 percent efficiency, according to Stanford University. 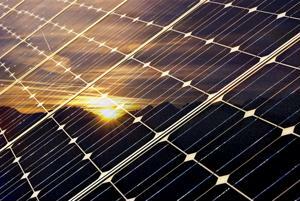 If this technology advances, these new solar cells could reduce operating costs for businesses. Efficiency is integral in developing renewable energy sources that one day become mainstream like petroleum, liquefied natural gas or coal. In emphasizing the importance of efficiency in energy production, the International Energy Agency released a new report that presented energy efficiency as a commodity similar to fossil fuels, Business Green reported. "Simply put, the cleanest megawatt hour will be the one we never need, and the most secure barrel of oil the one we never burn," Maria van der Hoeven, executive director of IEA, said during a conference. "But energy efficiency opportunities really make up an interlinked constellation - between transport, industry, buildings and the like. And understanding that constellation as a market is a relatively new undertaking."